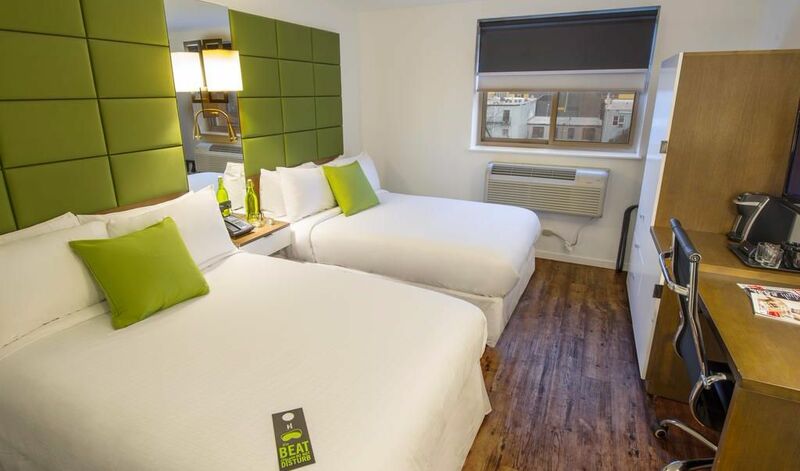 Located in the Sunset Park area of Brooklyn; this hotel is near Manhattan being only two express subway stops away. 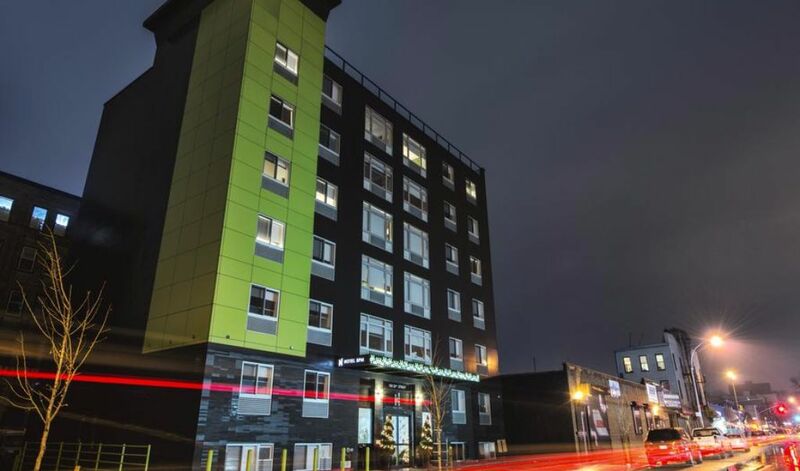 Hotel BPM Brooklyn New York, "A Music and Lifestyle Hotel" is about redefining the travel experience to a new generation of travelers. 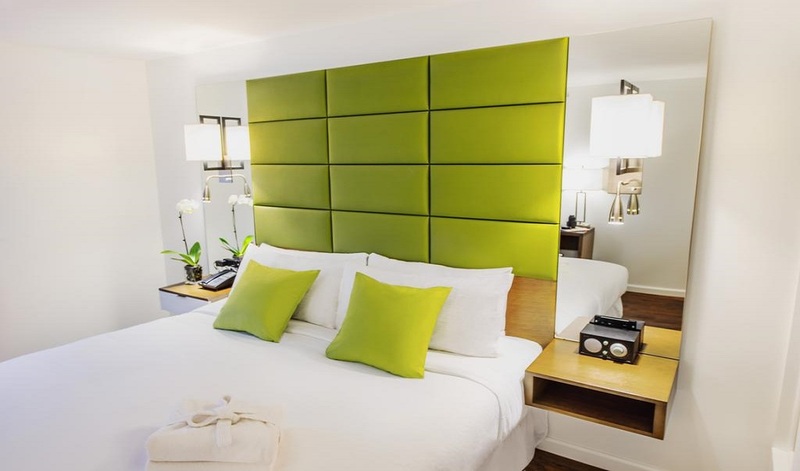 This luxury lifestyle brand, focused around music entertainment culture, offers it's clientele a hip modern luxury feel with upgraded amenities & aspects of music lifestyle mixed in; offering our signature plush Sound Sleeper bed wrapped in 300 thread-count linens, Keurig coffee makers, and free internet access available. 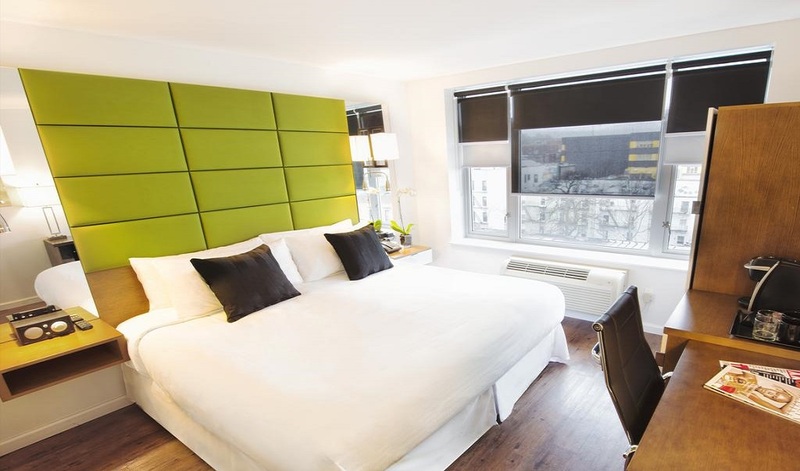 Hotel BPM Brooklyn creates an experience perfect for any traveler seeking more then the everyday experience. 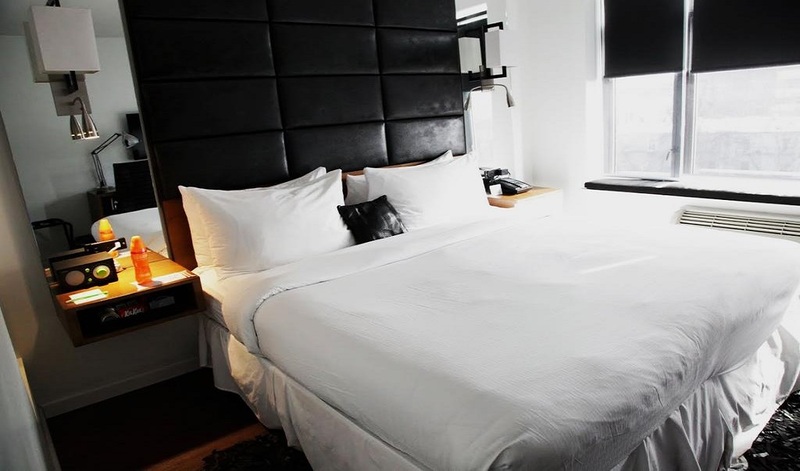 At Hotel BPM, we have created a custom signature “Sound Sleeper” pillow top bed for an amazing nights sleep wrapped in luxury designer linens with the most comfy duvet blanket. As if that wasn’t luxurious enough, your bathroom is outfitted with high end porcelain tiles from the floors to surrounding you in our glass enclosed rain drop shower with hand shower. It doesn’t stop there, fast forward a bit and wrap yourself again with plush extra large bath towels. 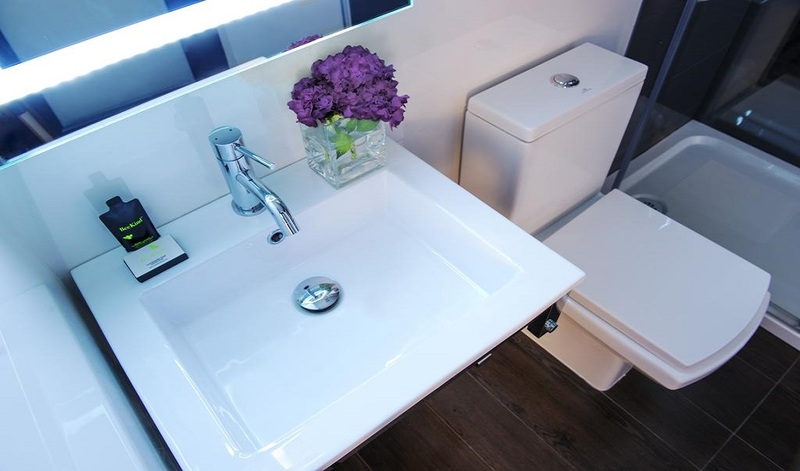 As you step out of the bathroom, did you notice our steam-proof frame lighted mirror, oh by the way, you can turn on your personal bathroom speaker and jam to the sounds of Hotel BPM. Come say “Hello Brooklyn” and feel like the super star we all want to be. 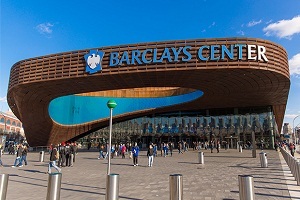 Barclays Center is a multi-purpose indoor arena in Brooklyn, New York City. It sits partially on a platform over the Metropolitan Transportation Authority (MTA)-owned Vanderbilt Yards rail yard at Atlantic Avenue for the Long Island Rail Road (LIRR). It is part of a $4.9 billion future business and residential complex now known as Pacific Park. Brooklyn Botanic Garden (BBG) is a botanical garden in the borough of Brooklyn in New York City. 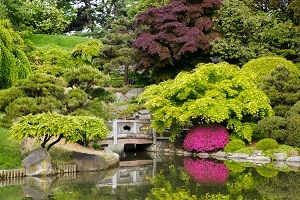 Founded in 1910, and located in the Prospect Park neighborhood, the 52-acre garden includes a number of specialty "gardens within the Garden", plant collections and the Steinhardt Conservatory, which houses the C. V. Starr Bonsai Museum, three climate-themed plant pavilions, a white cast-iron and glass aquatic plant house, and an art gallery. The Brooklyn Bridge is a hybrid cable-stayed/suspension bridge in New York City and is one of the oldest bridges of either type in the United States. 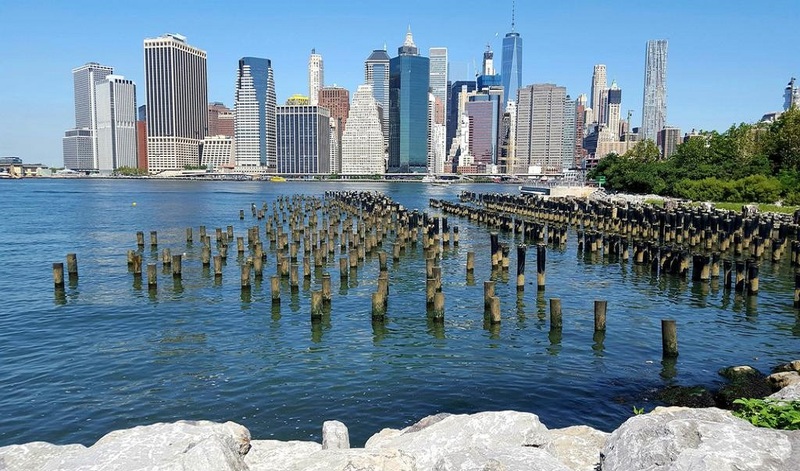 Completed in 1883, it connects the boroughs of Manhattan and Brooklyn by spanning the East River. It has a main span of 1,595.5 feet, and was the first steel-wire suspension bridge constructed. 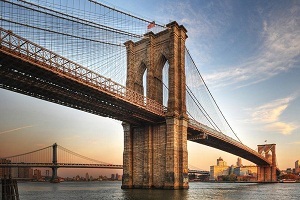 It was originally referred to as the New York and Brooklyn Bridge and as the East River Bridge, but it was later dubbed the Brooklyn Bridge, a name coming from an earlier January 25, 1867, letter to the editor of the Brooklyn Daily Eagle,and formally so named by the city government in 1915. 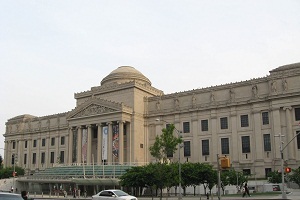 The Brooklyn Museum is an art museum located in the New York City borough of Brooklyn. At 560,000 square feet, the museum is New York City's third largest in physical size and holds an art collection with roughly 1.5 million works.Located near the Prospect Heights, Crown Heights, Flatbush, and Park Slope neighborhoods of Brooklyn and founded in 1895, the Beaux-Arts building, designed by McKim, Mead and White, was planned to be the largest art museum in the world. Cancellation and prepayment policies vary according to Rate Program you select. The cancellation policies are mentioned in the rate program details. You'll be asked to pay the following charges at the hotel: Refundable Deposit: USD 100.00 per night. Children are welcome. Kids stay free! Children under 12 years old stay free when using existing bedding. 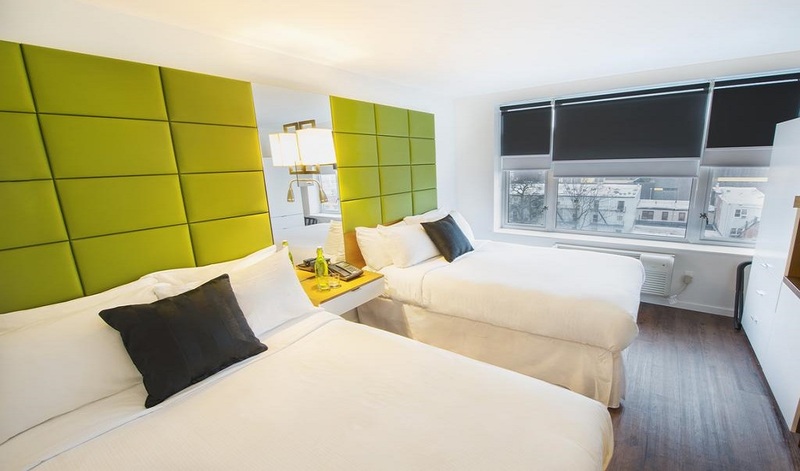 Hotel Charges Occupancy Tax of $3.50 per room per night which is not included in your price. I had an amazing time staying at this hotel. The staff was very friendly and very professional! The rooms were very nice and very clean. I enjoyed the speakers in the shower along with the waterfall shower. Frist time wasnt enough. I had to return to this AWESOME Hotel BPM again. 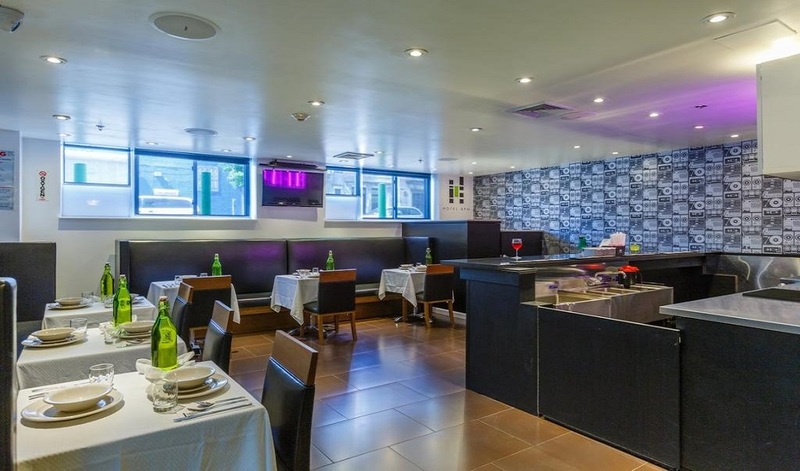 This location and price is ideal for the traveler who wants to get around, and explore NYC on thier own. Its only two blocks from the Subway and Three stops from Time Square. 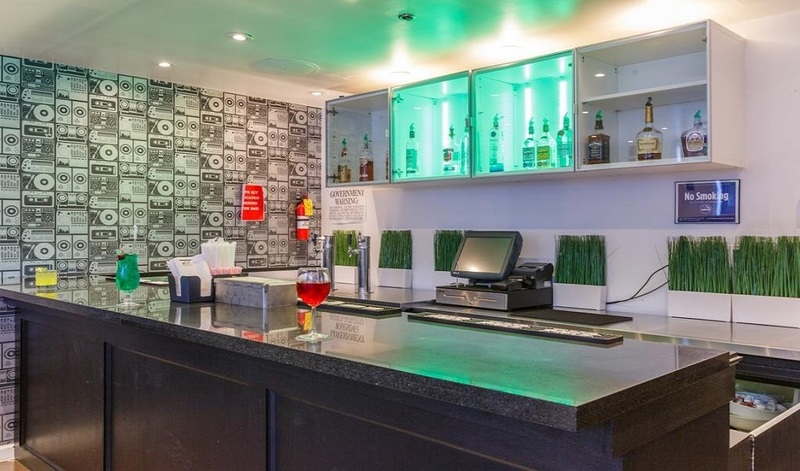 Front Desk staff are very attentive to every need you may have from ideas on local events to GREAT PLEACES TO EAT. Me and my family had a great time at Hotel BPM due to the friendly and helpful staff. 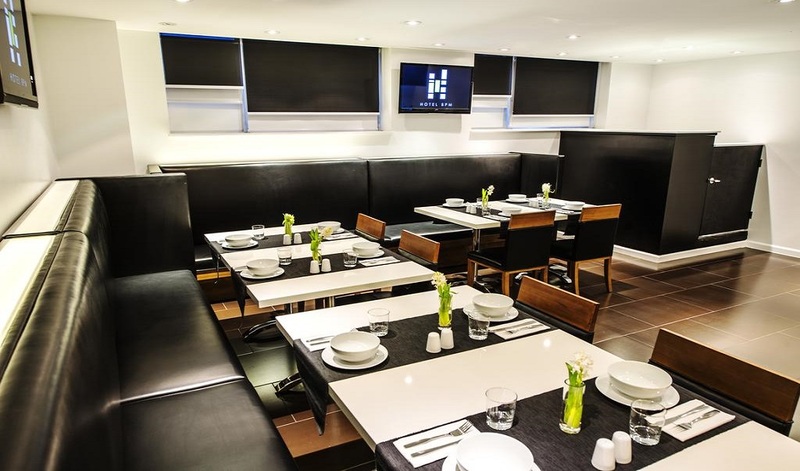 Its only 3 blocks from the subway, fantastic breakfast and really nice rooms. I will come back for sure! Special thanks to Rosario, all-in-one, great worker , great person. 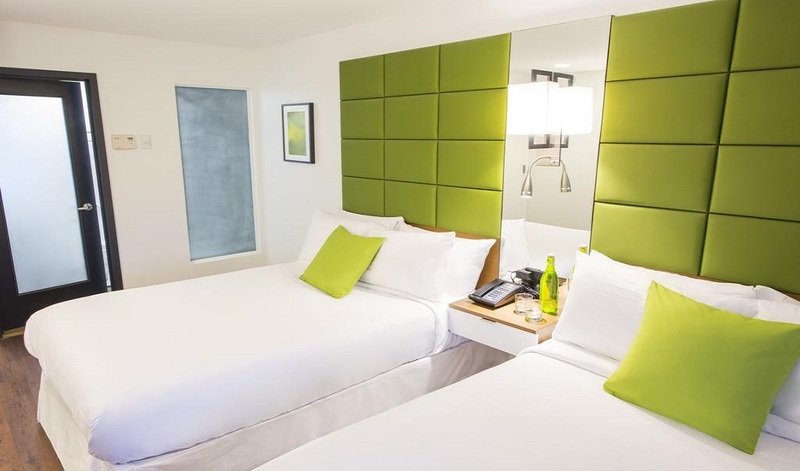 I stayed there for 2 nights and I had problems with my reservation because of myself, Richard at front desk solved this problem really fast, room was clean and looked recently refreshed, price is absolutely affordable! Great place to stay after busy day at Brooklyn! 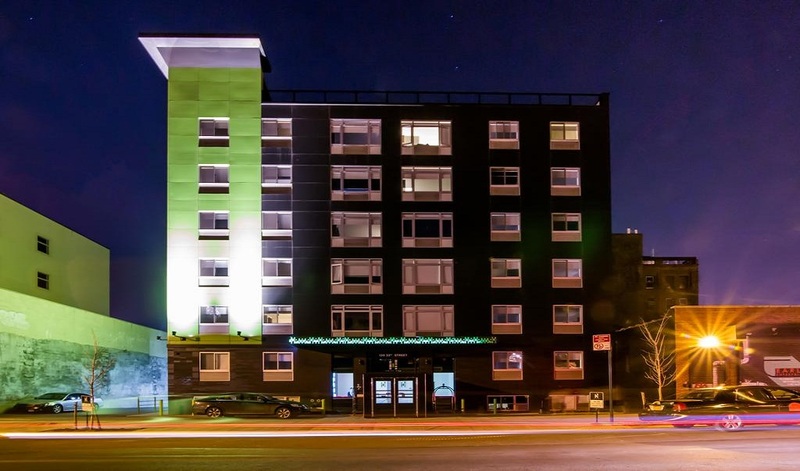 A friend and I stayed at hotel bum last year and really enjoyed it. We wanted a comfortable place to sleep and shower and that's exactly what we got. The staff were very friendly and were very helpful even before my arrival when I was trying to arrange an airport transfer. The room we had was spacious enough for shopaholic females and the beds were really, really comfortable. I gave my daughter my credit card and asked her to book me a hotel .I was kind of skeptical because the hotel was so cheap, This hotel gets my approval for safety A+.It was a great stay. I will be back again. I had a room with a king bed that was very comfortable and clean. Bathroom was nice. Staff is phenomenal. I met the General Manager and the front desk assistant, they were incredibly friendly and accommodating. I will be going back to Brooklyn for my next trip and will be staying here again. Hotel was quiet, clean, cute and convenient from the subway. Staff was always super friendly and available. Bathrobes were a nice touch and really nice bathroom. No complaints! Only minor suggestion would be hot breakfast options. 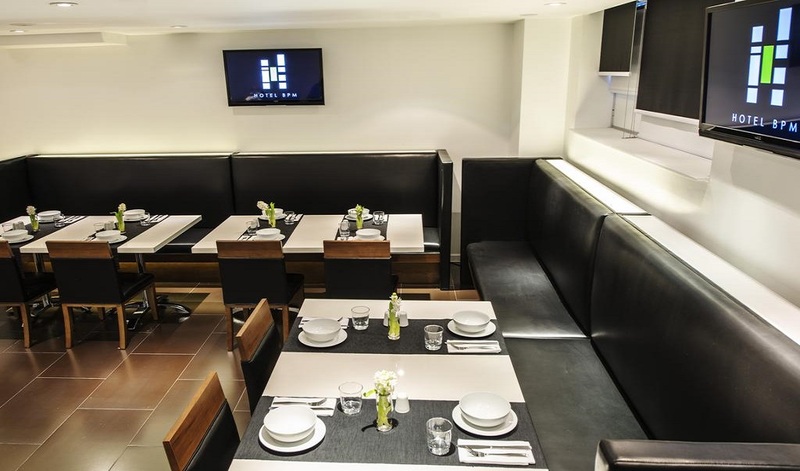 reat location in proximity to Barclays Center as that was our primary purpose of the visit. One stop away on the train which is a short 3 blocks from the hotel. The staff was friendly and helpful. The breakfast was sufficient. i would stay again. Very Helpful accommodating staff, way more than you would expect for the price. One bedroom was small but everything you need for 1 or 2 people. Pretty easy to park, at least on a weeknight. Breakfast what you would expect for continental.